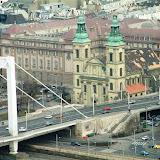 It was also at this time that the sanctuary of the church was rebuilt according to the plans of Imre Steindl. This Neo-Gothic rebuilding paid very little attention to the original features of the church. Steindl must have noticed most original features, but largely ignored them. He covered the piers with artificial marble, had the entire chancel repainted, and he also designed a new main altar to be built from Zsolnay majolica. 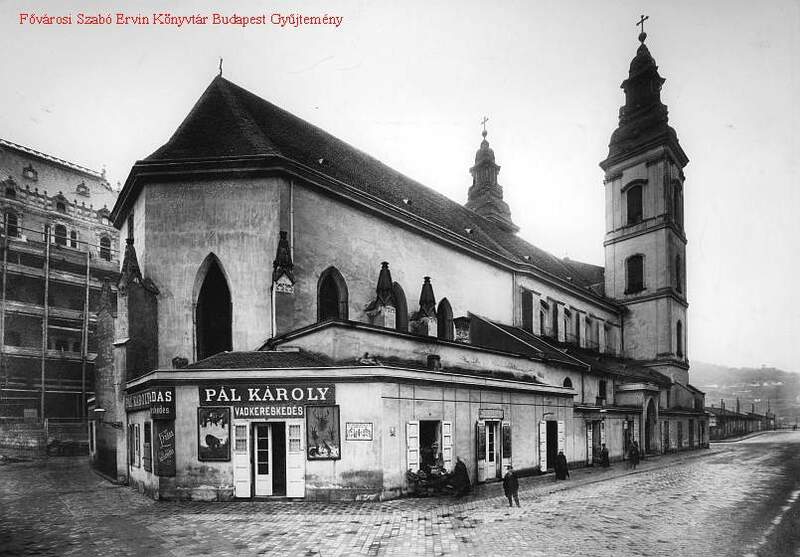 It was only during the 1930s, that the exterior walls of the church were researched by Kálmán Lux, and two Late Gothic portals and other features came to light (see this film from a 1933 newsreel). As research continued inside, a series of wall niches - some with frescoes - were discovered inside the chancel, pieces of the Gothic tabernacle were put together and the two large, red marble Renaissance tabernacles were moved to their present position. After World War II, the church had to be restored again, and that is when it got its new main altar and the present painted decoration of the chancel. During all this work, the most important fresco of the church remained undiscovered. It was not found until 2010. In part 2 of this post, I will write about the medieval frescoes of the church. Archival photos are from the collection of the Metropolitan Szabó Ervin Library. If you click on the picture below this link, you can see some present-day photos (most of them my own).